The following is a summary of the crafting and housing related changes included in this #ESOTU patch for the PC and Mac. 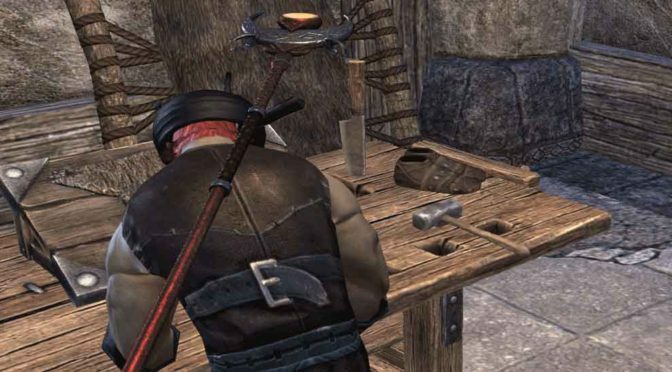 Fixed an issue with Blacksmith Master Writs and Housing Storage bug. The Elder Scrolls Online v3.3.6 has several improvements for the issue where you weren’t able to swap your weapon, and improves some of the longer load screens that were seen after Update 17. We also fixed the duration of Immovability potions, the issue affecting werewolves losing their transformation, bound items being lost from home storage in some scenarios, and more. The size of this patch is approximately 147MB. The following is a summary of the crafting and housing related changes included in this #ESOTU patch for the PC and Mac. Mostly bug fixes. The Elder Scrolls Online v3.3.4 is our final incremental patch on the PTS and includes adjustments to Hard Mode in Scalecaller Peak and several bug fixes affecting combat, itemization, housing, UI, and Cyrodiil. The size of this patch is approximately 105MB. The following is a summary of the crafting and housing related changes included in this #ESOTU patch for the PC and Mac. Mostly fixes combat and itemization balance adjustments and bug fixes. The Elder Scrolls Online v3.3.3 contains a number of bug fixes for attacks that fall outside of our rulesets for blocking and dodging. In addition, we’ve continued iterating on Off Balance across the game, and reduced the cooldown for Synergy abilities. Also included are several fixes and adjustments for both new dungeons in the Dragon Bones DLC game pack, and several UI fixes. The size of this patch is approximately 119MB. The following is a summary of the crafting and housing related changes included in this #ESOTU patch for the PC and Mac. Mostly fixes combat and itemization balance adjustments and bug fixes, in addition to some improvements for long loading screens. The Elder Scrolls Online v3.3.2 is an incremental patch that includes several combat and itemization balance adjustments and bug fixes, in addition to some improvements for long loading screens (including in Cyrodiil) and a number of bug fixes spanning several systems and zones. We’ve copied all European megaserver characters for this patch, which is approximately 149MB in size. The Elder Scrolls Online v3.3.1 mainly includes some fixes for combat abilities, the Outfit System, homes and furnishings, and Cyrodiil. You can expect to see combat balance changes in next week’s PTS incremental patch as we’re still going through PTS feedback. The size of this incremental is approximately 168MB.